If you find yourself looking for an iPad screen protector, that means you have reached a new level of responsibility. It also means that you have crossed a dubious threshold in life where you need smaller gadgets for your main gadgets. But I digress. No matter how vocal Apple is in stressing the durability of its products, it’s certainly better to be safe than sorry. Also, you can never be too careful around troublesome children or outrageously playful pets. Is an iPad Screen Protector Necessary? In short, yes. Apple prides itself on the quality of its products, yet freaky scratches are bound to happen, particularly if the iPad is used predominantly outdoors. Selective, momentary negligence involving a set of keys or a table that’s a bit rough around the edges is sometimes all that it takes. 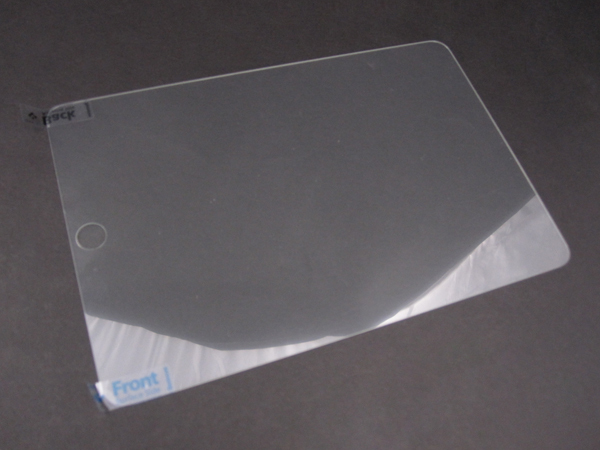 The chief argument in favor of an iPad screen protector is the significant resale value attached to Apple’s gadgets. As a consequence, the better care you take of your tablet, the less you will be spending at the launch of the next generation. Naturally, there are arguments to be found against this type of precaution. Reduced usability or the cover-up of the camera are some of them, but these problems arise only in the case of the cheapest and/or universally-minded of screen protectors. First of all, it should be stated that Apple does not create or endorse any iPad screen protector, probably considering this a redundant provision for an already “foolproof” product. Accordingly, you may even encounter counterfeits such as a “best iPad Pro screen protector” turning out to be a shabby iPad Air 2 protector. Be very careful in your research, don’t buy from every shady Internet corner. Compatibility is a crucial problem. Furthermore, some of these protectors are notoriously difficult to put on, so it is necessary to abstain from doing it yourself, especially if you have a history of technical mess-ups. Tempered glass – may well be your best bet, owing to the hardness of the material, however, it is also the most expensive option. PET Film membrane – where PET stands for polyethylene terephthalate, is actually a thin layer of transparent plastic, the polar opposite of the glass, both in terms of costs and degree of protection. TPU – a.k.a. thermoplastic polyurethane represents the middle ground, a thermally-treated type of plastic that acts on the same principle that automobile airbags. Provides decent protection for decent money. 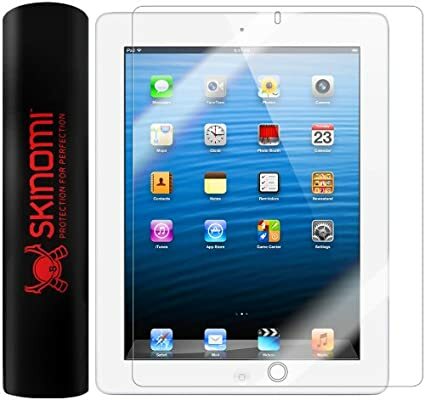 Skinomi Techskin is the option for users that are “very careful with money”. An embodiment of the PET membrane category, it works with all four generations of iPad. It also prides itself as very easy to put on and guarantees against most household accidents and UV rays. Depending on your luck, you may pay anywhere from $3 to $15. Tech Armor for iPad Air/iPad Air 2 lies somewhere in the middle quality-wise and price-wise. It boasts a lifetime warranty, being one of the most popular protectors on the market. With a cost of around $20, this particular model is usually sold in packs of two or three, so it may be a good idea to pass the word around in an attempt to save a penny or two. Tech Armor also produces iPad mini screen protectors, in the same vein as the one mentioned above. A single piece goes for around $12 to $15, although obviously you can reduce that by buying in bulk. Spigen SGP glass screen protector may be considered the Rolls-Royce of protectors. Available for the iPad 3 and 4, the Spigen is recommended for those operating in perilous conditions. As its designation suggests, it is of the tempered glass kind, costing just north of $50. This model has a membrane of film underneath the thick glass layer and is a barrier against almost everything, from fingerprints to medium-force impacts. To sum up, carefully selected screen protectors do not reduce in any way your tablet-using experience, offering decent amounts of protection, often at more than decent prices. It is definitely the path to follow for a device’s life expectancy, and more so if you plan on reselling it further on.